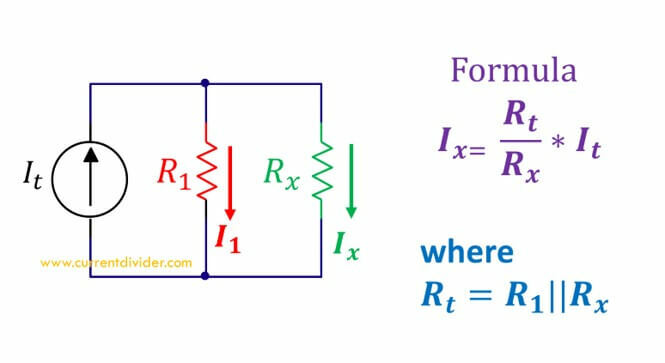 In this example you'll learn the application of current divider principle to a circuit whose equivalent resistance and one of the two resistors are known. Statement: A current divider circuit has two resistors with R1 = 30 ohms and R2 is unknown. While the equivalent resistance is 20 ohms. The current flowing through R2 is 2 mA. 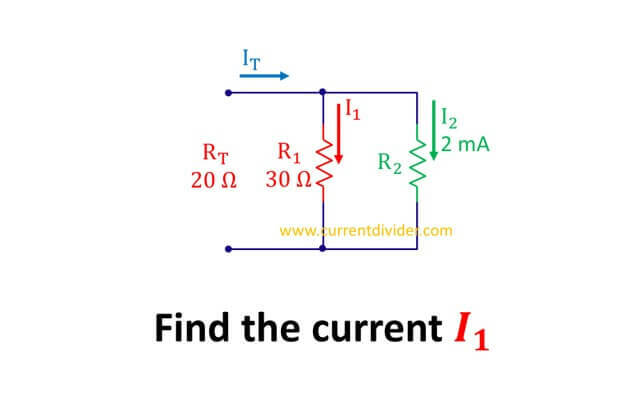 By appliying current divider theorem to I1, we obtain. Putting value of It in I1.